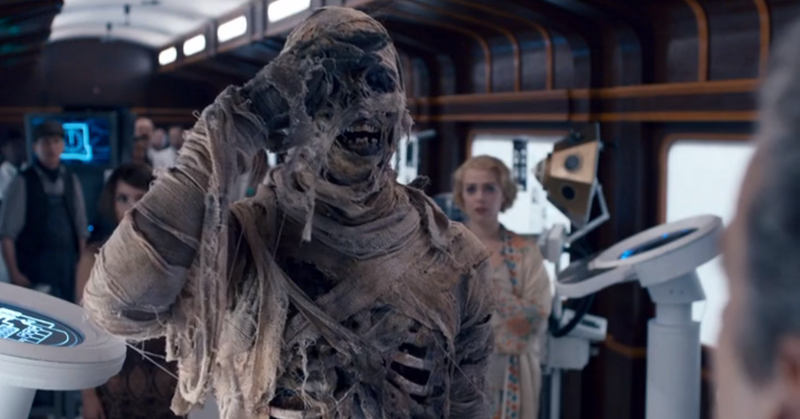 Call it a great pun or an easy joke; but just don’t call “Mummy on the Orient Express” a boring episode. With only 66 seconds to save a life, this episode gave us a great sense of urgency as well as an all-telling honest reveal by the doctor himself. Throw in some new sinister characters, and you have an episode that not only keeps us entertained; but also places the episode within a larger framework for this season. 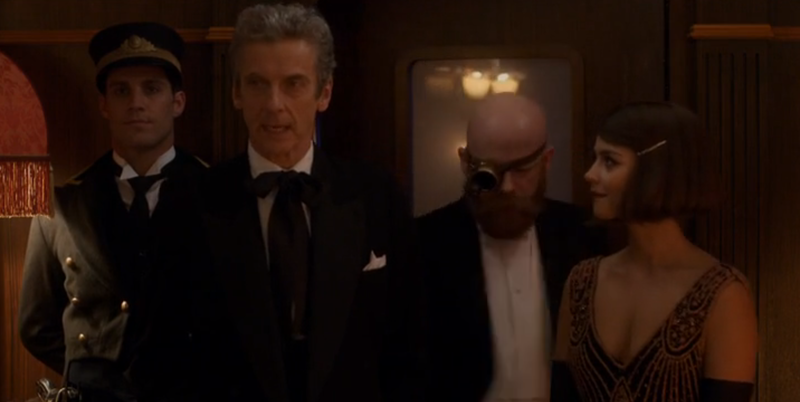 This episode gave a very unique approach to traveling with the Doctor when it was labeled as ‘an addiction’; and as the Doctor pointed out, you don’t know if something’s an addiction until you try to give it up. 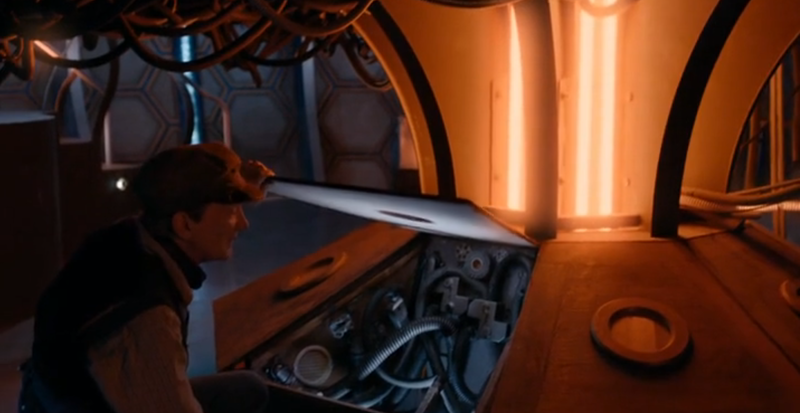 If we look at the episode through this lens, we realize that is exactly what Clara is in fact going through. This whole trip has been planned as ‘the last hurrah’; and yet she doesn’t see it as the end of their relationship. Clara feels that “you can’t end on a slammed door”; but in reality that is what a closed door means. To end on an ‘open door’ means you always have the chance to go back to it. 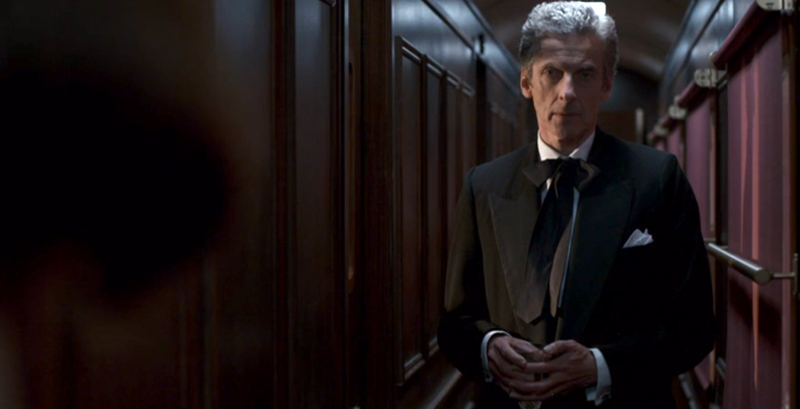 It is a ‘closed door’ that in fact means an ending; but Clara doesn’t want that. Even if this is to be the last trip, she wants there to be dinners, stories, and more interactions. We can even see how she is bored during this trip when nothings going on. Danny wanted Clara to walk away from everything with the Doctor; but all that is accomplished is revealing her addiction. We already know how this will end because we saw it barely two episodes ago. Clara keeps going on adventures with the Doctor without Danny’s knowledge and comes back tired, sun burnt, soaked, etc. Danny is going to find out and it will be Clara’s fault for not being truthful with neither him nor the Doctor. Now to be fair, the Doctor might already have an inkling that she’s lying when he pointed out that ‘Danny’ must have had a big change of heart. This entire season thus far we’ve learned more about the Doctor by comparing him to other antagonist and protagonist foils; but in this episode, the new Doctor actually came out and told us exactly who he is. We’ve known for a while now that the Doctor isn’t good with expressing warm emotions. He’s usually closed off and is uncomfortable with sentiments – as we can see from his disdain of hugs or how he just wanted to ‘go back to talking about Planets’ while Clara was talking about this being their last journey together. Though the Doctor does finally open up and reveal why he seems so ‘heartless’ sometimes. It’s not because he doesn’t care; but rather because he knows that at the end of the day, he has to make the hard choice. He doesn’t have the luxury to care. Every episode the Doctor has had to make a hard choice that might have seemed heartless in the moment; but in the bigger picture it was necessary for everyone to be safe. What the Doctor did to Clara last episode was a choice as well. He knew that he didn’t have the right to make a choice for an entire planet he wasn’t even from. He did it for Gallifrey and couldn’t do it again. 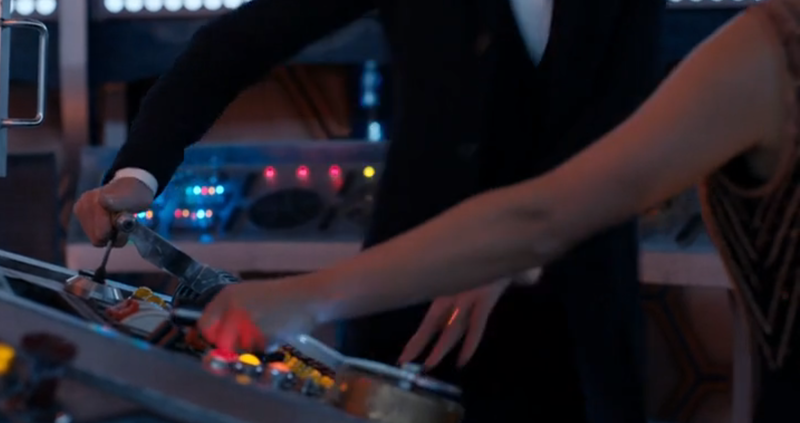 In this moment, Clara experienced what the Doctor has to do every time. There were a lot of things Maisie got wrong in this episode concerning the Doctor. He first insistence that he was a liar of course seemed correct from her point of view, but we know that he isn’t. We know that he did indeed could have been to this part of the universe thousands of years ago – since he’s a time traveler. Though despite her wrong characterization of him, Maisie continues to ‘analyze’ the Doctor; and quite frankly keeps missing horribly. Her other description of him comes when her and Clara are trapped and she says that ‘life would be easier if you could like the people you were supposed to’. This whole idea of liking the wrong people; but the Doctor isn’t some bad-boy boyfriend. As I’ve just shown – and we’ve known all along – the Doctor is kind hearted. In fact, he’s probably one of the best men there is and ever will be. Seeing Maisie’s crazy misinformed assumptions about the Doctor just reinforce the fact that there is more to him than meets the eye. That you have to know him for a long time before you could ever begin to judge who he is and why he does what he does. A long time fan would know who he is and why he can do what he does, but for someone experiencing him in the moment it’s impossible. Clara represents the audience; and similarly realizes in the end that the Doctor does have a heart and just cant use it as often as he’d like because of the hard choices he has to make. We love our time with the Doctor and no one can tell us otherwise, which is exactly the conclusion Clara comes to. First thing’s first: I personally enjoyed it when Capaldi’s Doctor asked “Are you my mummy” – a clear reference to the Eccleston’s episode “The Empty Child” – though I can also understand how others would see this as corny. Considering that remains one of the most suspenseful episodes of the new Doctor Who, I always enjoy a good reference to it – much like Tennant did during the episode “The Poison Sky”. But enough about references and let’s talk about ‘The Foretold’ itself. From what we can gather, the myths about ‘The Foretold’ are actually about an ancient nameless warrior in a long forgotten war who has been rebuilt again and again to keep fighting. Between the phase camoflague, personal teleporter and advanced life support systems, this soldier was able to keep fighting LONG after he should have died. It is these ancient technological advancements that Gus wishes to replicate for some unknown reason. ‘The Foretold’s status as a soldier would also explain his strategy of picking off the weakest first. If you believed you were in a war and surrounded by the enemy, your best bet would be to pick off the weakest in gorilla tactics to even the odds – which is EXACTLY what ‘The Foretold’ is doing here. First there was the mysterious Missy; and now we have the enigmatic Gus. Both seem a little too jovial; but whereas Missy usually welcomes people – except for in “The Caretaker” – Gus is usually threatening them and blowing up trains. Even more curious is how Gus knows who the Doctor is. As we learned, he not only knows about the Tardis and who/what the Doctor is; but also has tried to lure him onto that train various times. Most curious of all is how he has even called the Tardis, which we know from “Time Heist” that only a handful of people have. Though at the most disturbing thing about Gus has to be why he wanted the Foretold. We know that he wanted the Foretold to be captured/studied in order to reverse engineer his abilities; but we do not know why he wanted these abilities. Are they for himself, for an army? Either way, if he was set on deadly persuasion and killing the witnesses afterwards, then he’s certainly not after a Peace Prize. Though Gus isn’t the only one that the Doctor should be worried about. I might be alone here; but then again I might not be. Either way, I don’t trust Perkins. We’ve seen how quick the Doctor is to criticize and rarely compliment people’s brilliance; yet he did so with Perkins. Something tells me Perkins is much more than just a simple mechanic. His role in this episode seemed a little too big to be just an episode exclusive; and I think we saw the seeds for something that’ll transpire next episode. 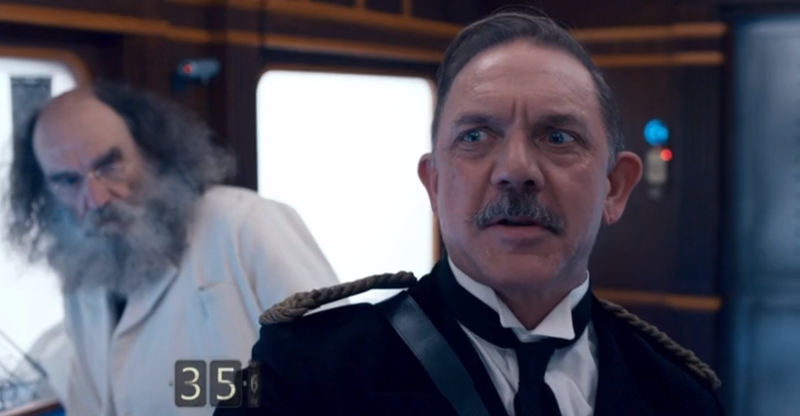 The final scene with Perkins is him on the Tardis looking into the engine room/core; and I have a tremendous feeling that he planted something or sabotaged something. The support for this theory can be seen in the preview for the next episode when we see the Doctor in trouble as the life support systems in the Tardis are failing. It could of course be the ‘dimension-stealing’ aliens work; but since everything else concerning them in the preview shows people becoming 1-dimensional, this is probably something different. Though who is Perkins and why would he do this? Personally, I wonder if Perkins is ‘the Master’. There were initially hypotheses of Missy being the Master; but as I said from the first time we meet her, I think she’s some manifestation/relation to Death itself – which the series has been supporting thus far. Perkins could be the Master – or a Time Lord in general considering how he felt working with the Tardis could ‘change a man’. 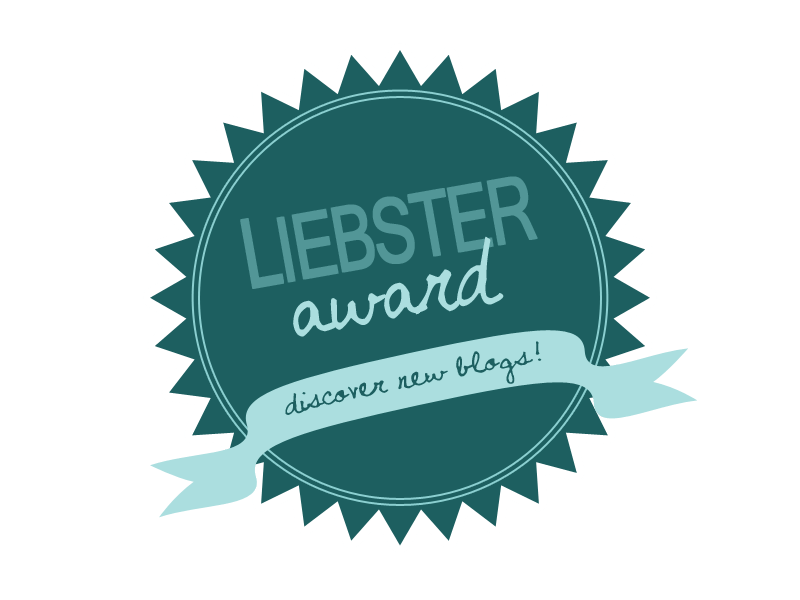 Somehow someway, I think there is more to Perkins than meets the eye – and it’s not good. How did Clara and Maisie get out of the locked room so easily after so many failed attempts? Remember that only Gus had access to that room, so when it was revealed that Maisie was the one the Foretold would be coming for, Gus was all too happy to unlock the door so that the Foretold’s killing could be observed once more. How did they escape the train explosion? By using the teleporter in that was part of the Foretold, he was able to phase them all to the Tardis. We’ve seen the Doctor turn singular items like vortex manipulators and have them affect a bunch of people, so it’s not impossible to think that he could do the same with a teleporter. Additionally, he didn’t help them escape the explosion; but rather the air lock. As we learned afterwards, the train exploded when he tried to hack into the train from the Tardis. We continue to be more and more impressed by this season. Next week’s dimension stealing aliens might be a bit of a stretch; but I’ll give it a chance. Hopefully it keeps the straightforward – yet deep – storytelling of these past episodes. Also, with the midseason approaching, it looks as though we might get some idea of what’s in store for our favorite time travelers. So stay tuned.